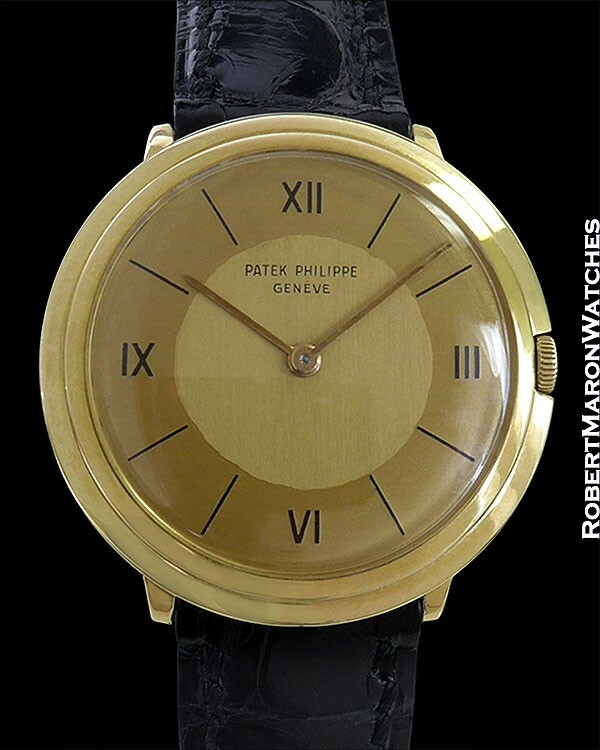 Retailed on September 16, 1951 this unpolished Patek Philippe Calatrava has a futuristic styled 18k case along with a rare and unusually attractive two-tone gold dial with roman numerals and original golden baton hands. Case has stepped bezel and short lugs and is like a smaller version of the famous Disco Volante case of the same period. 34mm diameter by 8mm thick with domed acrylic crystal. Case back has personalized engraving. Crown is recessed into the case. 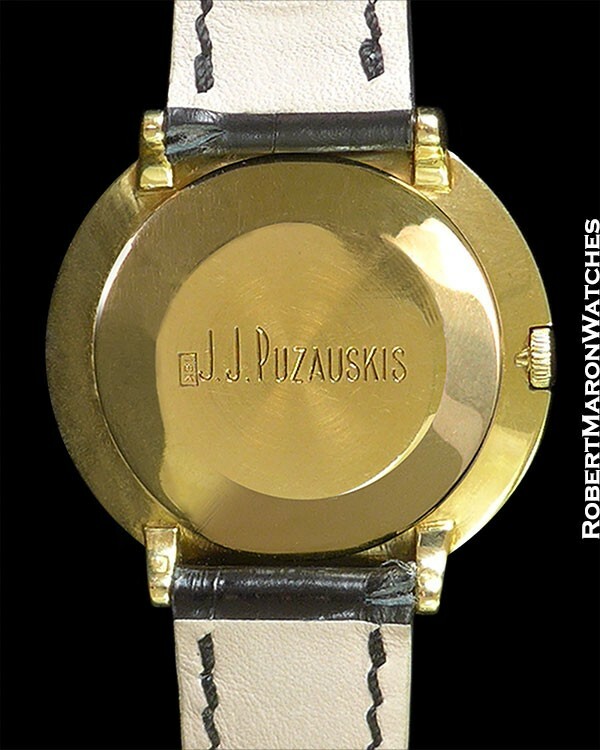 Rare and fantastic looking two-tone gold dial with painted roman numerals and markers. The numerals and markers have volume to them and impart a pleasing depth to the dial. Original golden baton hands. 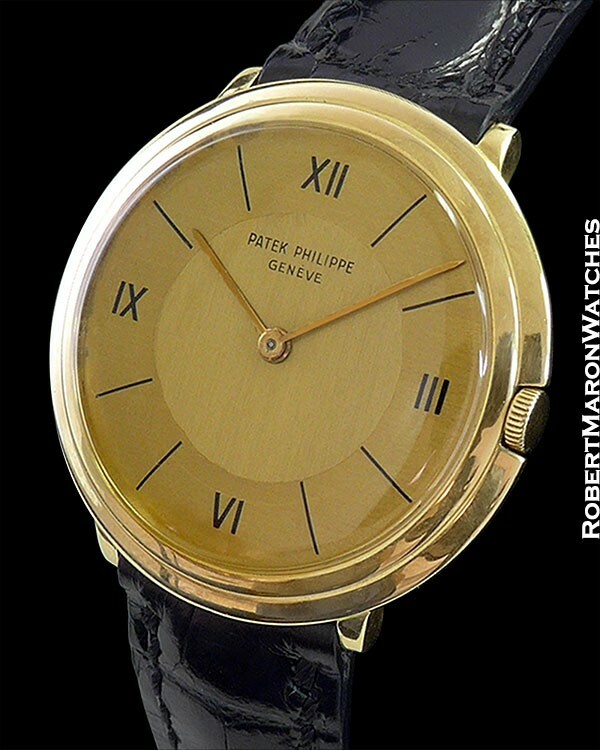 Patek Philippe manual winding caliber with 18 jewels adjusted to 5 positions and temperature and stamped with the Geneva Seal. New Patek hand-sewn black alligator strap. Watch is in unpolished mint condition.